MG’s new crossover – the ZS ! There is a learning curve when any new manufacturer seeks to establish itself in a certain market. In the 1980s, Mazda had the 121 which was a rebadged Ford Fiesta. Resurrected ten years ago by SAIC Shanghai Automotive was MG that recently launched their contribution to the crossover sector – the ZS. I like it primarily because of the seamlessness of the six-speed automatic combined with the obligatory 999cc turbo petrol engine developed with Vauxhall. Even with four adults, there was almost no lag or strain until gearchange except when on a 1 in 4 incline when I watched the rev counter encroach 4000 rpm until the smaller cog was engaged. 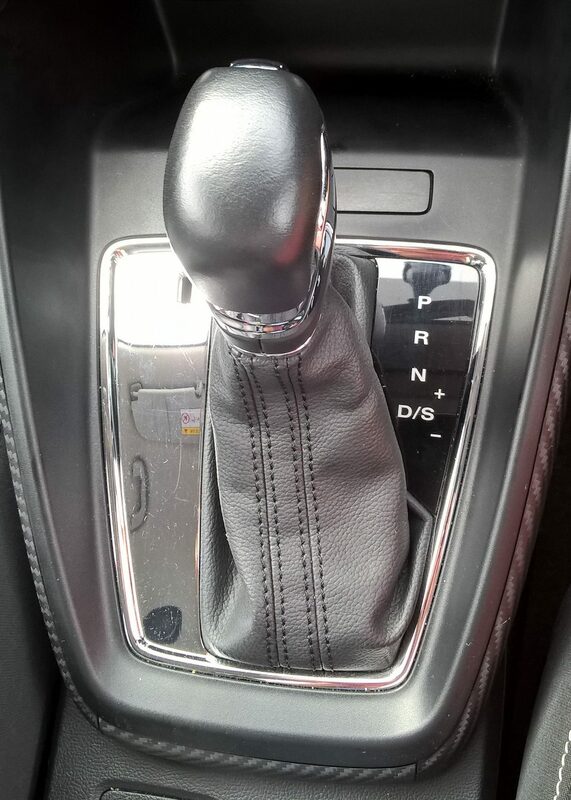 I also like it because there are no novelty paddleshifts that never to my experience, replicate the smoothness of an automatic gearbox left to its own device. 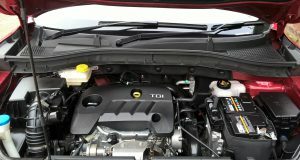 There is another 1498cc petrol unit with a manual gearbox that both use chain cambelts that negates the need for the five year headache of rubber cambelt replacement. Combined with a non-insurance based seven year warranty up to 80,000 miles and a starting price for the latter engine at £12495 equates to a very reasonable option. 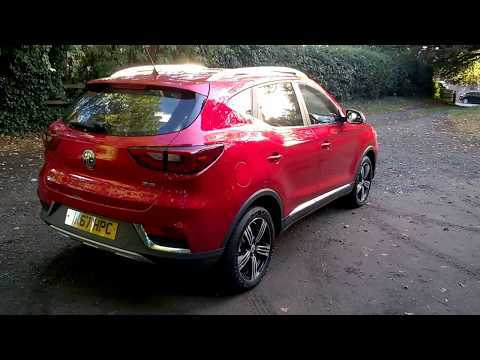 MG’s press material quotes over one million hours and three million miles of strenuous whole vehicle testing stressing that extensive roadtesting during development was important to suit it to UK roads – and it shows. The ride is taut with an accurate turn-in when choosing one of the three steering options – I chose ‘Dynamic’ although these options are only available on two trim levels of ‘Excite’ and ‘Exclusive’ with the poverty-spec ‘Explore’ model even doing without air conditioning. In some areas, the ZS needs some development or dare I say, finishing. For example, the seatbacks desperately need some lumbar support for the lower spine as they are concave shaped, an armrest is absent from all models and two small buttons on the steering wheel appeared to be redundant. Our ZS, seated with four adults achieved a combined 40 mpg which wasn’t far from the official 44.9 mpg figure. 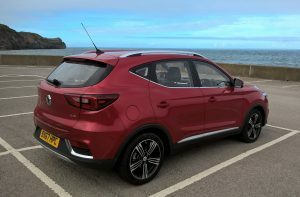 Space is another ZS strongpoint with masses of head, shoulder and leg room even when sat behind a six-foot driver and it has class leading boot capacity beating the Nissan Qashqai’s. 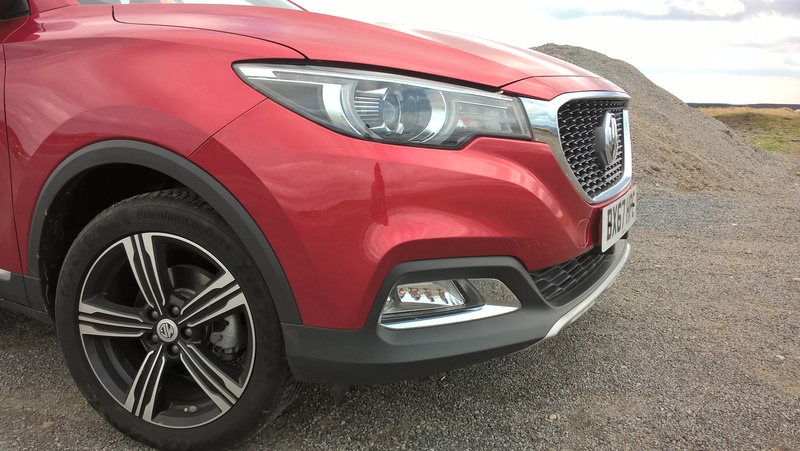 One oversight by MG is that they haven’t installed electronic safety aids such as independent braking systems or lane departure warnings that results in a score of three by Euro NCAP- the European New Car Assessment Programme. Furthermore rear unbuckled seatbelts do not activate the warning light at the front of the ceiling. 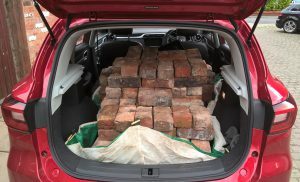 Theoretically, a lower number of safety sensors will make repair costs cheaper so that fewer cars will be destined for the salvage auctions although in reality, there appears to be an increasing number of nearly new cars being written-off by insurers. Chinese build quality is good with accurate panel alignment including some hard plastics on the dashboard and door cards but which manufacturers don’t include these? 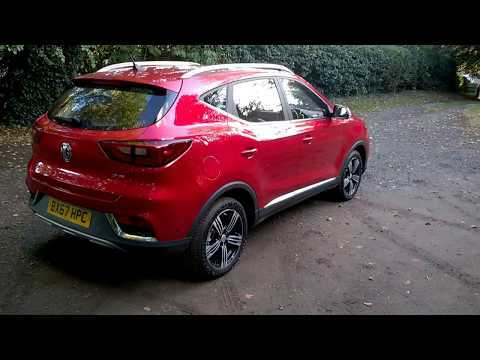 Our test car, sprayed in a Dynamic Red costs an additional £695 although other manufacturers such as Peugeot Citroen and Nissan have similar hues. That curve will be climbed and learning will be achieved with a slight reconfiguration of the ZS to the UK market. 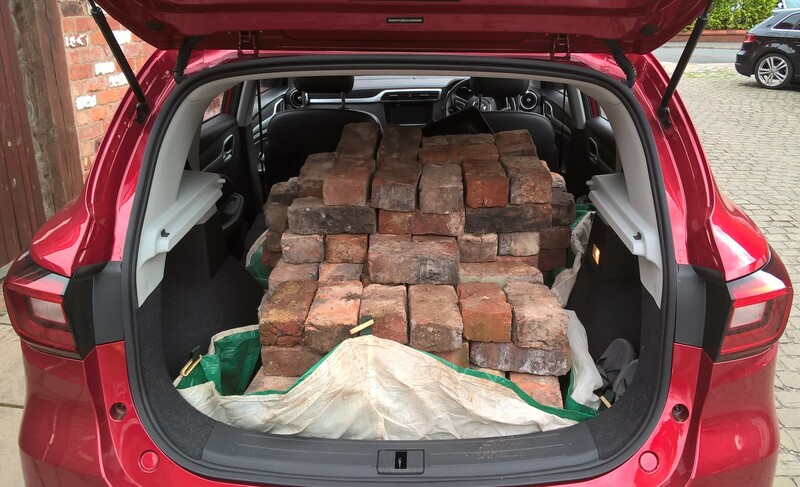 So, in conclusion – a good product, a strong warranty with masses of space (it carried 178 bricks – distributed over the rear axle of course) and at a cheaper than Nissan Micra price.